It's hard to imagine now, but the day Shigeru Miyamoto started work at Nintendo he didn't have a clue what he was going to do, let alone achieve. Yet what the designer - who has had a more profound, towering influence on the evolution of interactive entertainment than any other single figure - did have was a desire. And in Nintendo he found the company to help him fulfil it. "Before joining Nintendo all I wanted was simply to create something that may surprise the world, but I did not have any concrete idea at all," he tells Eurogamer. "And once I joined the company I realised I did not have any particular ideas about what I should do to make a product to surprise people around us." 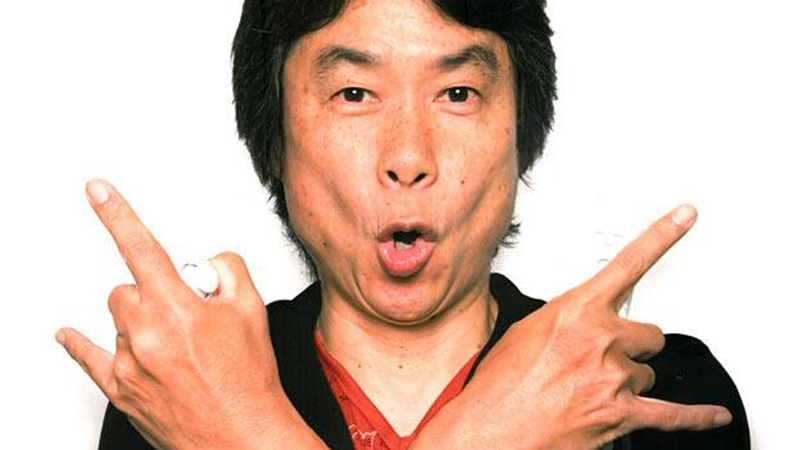 Miyamoto is unarguably a genius in his field; but genius alone is no guarantee of greatness. In every tale of distinction there must also be a large dollop of plain good luck. Miyamoto's fortune was to begin making videogames at exactly the right moment, with exactly the right company. "I think it was lucky for me to live in the days when Space Invaders was starting to boom," he reveals. "I still recall that when Space Invaders became a phenomenon in the marketplace I thought this might present me with some potential for a future career. "And then later on when I was given the opportunity to work on the first arcade game called Donkey Kong, I thought: 'maybe this is going to create the first step forward to establish my career'." Miyamoto, who understands my questions in English, but answers in Japanese, translated by veteran Nintendo communications supremo Yasuhiro Minagawa, shares these early memories in a suite high up in London's Park Lane Hilton, overlooking Hyde Park. Super Mario World, considered by many to be Miyamoto's best game. In around 20 hours, many floors below, he'll receive the Academy Fellowship from BAFTA as the climax to this year's Video Games Awards, adding the creator of Mario and The Legend of Zelda to an illustrious list of master entertainers that includes Spielberg and Hitchcock. "Fundamentally I feel a little bit humbled and embarrassed because I cannot make any videogame alone," he says of the honour. "So if I am going to receive any of this type of personal award I feel embarrassed." If Space Invaders created the opportunity which ultimately led to this moment, then the culture of Nintendo enabled Miyamoto to seize, understand and exploit it.